Easter on the Camino is locally known as Semana Santa, it is one of the most important religious festivals in Spain. From big bustling cities to small quiet villages, the whole country celebrates it with an ignited passion. There are huge parades that take up the streets, you will find processions marching through the roads bearing religious images and symbols, you will come across people from every nook and cranny observing the Holy Week in a unique way portraying their culture, way of life and religious beliefs. It won’t be wrong to say that the entire country of Spain lights up brilliantly. 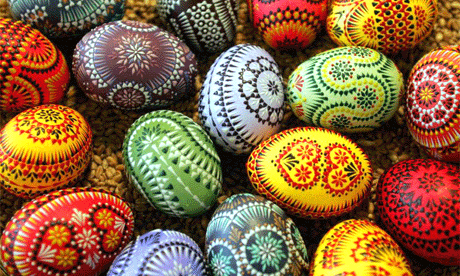 Easter is a Christian and cultural festival that takes place according to a lunisolar calendar. The holiday, also known as Pascha and Resurrection Sunday, celebrates Jesus’ rising from the dead. In Spain, it begins with the Domingo de Ramos (Palm Sunday) and end with Lunes de Pascua (Easter Monday). 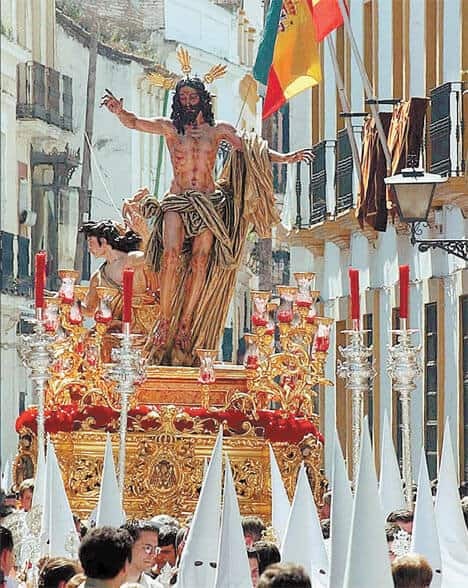 While it is one thing to read about the festivities and processions of Semana Santa or watch it on TV, it is an altogether different experience to attend it first-hand. If you happen to be in Camino for the pilgrimage during the Easter Week, make sure you observe the celebrations. Easter on the Camino will be a wonderful experience that will stay in your mind forever. In Spain, most of the people participatingin Semana Santa processions put on their capirote – a traditional uniform of brotherhoods worn during Easter. It consists of a tall, pointed conical hat that completely covers the face and belted robes. In the previous centuries, the dress was worn by people to do public penance for their sins. They would slip into capirotes and walk through the streets for atonement. Today, it is worn during the Holy Week. Women wear mantilla, a traditional Spanish lace or silk veil worn over the head and shoulders often paired with a high comb called a peineta. In most Easter celebrations, people are seen carrying pasos that they have saved for over hundreds of years in their families. 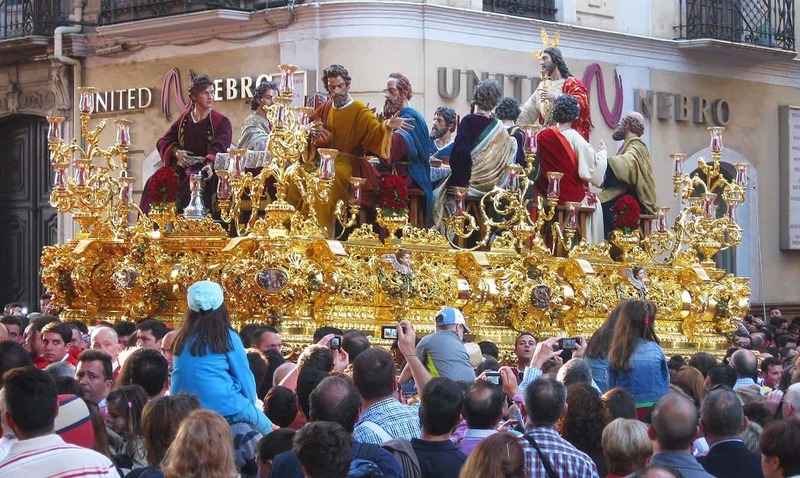 Pasos are large floats embellished with statues of Jesus Christ, the Virgin Mary, saints and other biblical personalities. They are often adorned with floral arrangements and candles. The south Spanish region is known to host some of the most glamorous Easter processions and attract tourists from all over the world. In Andalusia, particularly the cities of Seville on the Via de la Plata Camino and Málaga, the celebrations are carried out in flamenco style. Unlike many other countries, chocolate Easter eggs are not all that popular in Spain. However, you don’t have to worry for your sweet tooth. Spaniards have some amazing treats for Easter in store for you. There are torrijas, a traditional Semana Santa sweet bread, and Pestinos, Sesame-flavored pastries. Celebrating Easter on the Camino will be an experience of a lifetime. The pilgrims who happen to be walking the Way of St. James during the Holy Week of Easter will get to observe ancient traditions and exuberant festive proceedings along the way. Even though people enjoy the celebrations in high spirits the entire week, the major events take place on the most important dates in the Easter calendar which are Holy Thursday and Holy Friday (Good Friday). In Galicia, the coastal city of Ferrol is highly renowned for its impressive processions during Easter. Ferrol happens to be the beginning point of the Camino Inglés, the English Way, a route pilgrims used to take to get to Santiago de Compostela. On their way along the Camino de Santiago, pilgrims can make a stop at major towns such as Santiago de Compostela, Burgos, Leon, Santander, Bilbao and Pamplona, and witness their particular way of celebrating Easter. Appreciate the festivities of Easter on the Camino when you are in Pamplona. Pamplona, the city renowned for running the bulls, also have a great knack for celebrating the Holy Week. Semana Santa in Pamplona have three highlights – Easter Thursday, Good Friday and San Miguel de Aralar. Easter Thursday – Easter Thursday dates back to 1599, when more than half of the population of Pamplona succumbed to Plague. In hopes to annihilate the illness, a procession was held known as ‘the Vow of the Five Wounds’. The legend says that after the procession, the illness of Plague was thoroughly vanquished. Today, people don ceremonial attires and gather in the Church of San Agustín to retake the Vow. Good Friday – Good Friday is the most symbolic day of Semana Santa in Pamplona. On this day, the Procession of the Holy Burial takes place. People carry the statue of Our Lady of Solitude, also known as “La Dolorosa”, from the Cathedral to the Church of San Agustín. On early Saturday morning, La Dolorosais carried to the Church of San Lorenzo. San Miguel de Aralar – San Miguel de Aralar takes place on a Monday that follows Easter Monday. On this day, the figurine of Saint Michael Archangel is brought to the city for one week. To welcome the arrival of the effigy, the locals get together at the Park of Antoniutti. After the figurine has arrived, people carry it to the Church of San Nicolás where it is worshiped. When Sunday comes, people of Pamplona bid goodbye to the effigy until the next year. Easter processions that march through the roads of Bilbao begin at the church of the Santos Juanes. The church, located in an old quarter of Bilbao, is the head office of the Brotherhood of the Santa Vera Cruz. Santa Vera Cruz, also known as the Sacred Holy Cross, is a well-known procession in Bilbao that has been taking place since 1554 to honor the memory of those who passed way in the great flood that destroyed Bilbao on September 14, 1553. Moreover, you will see pasos of important historical and religious figures. About 40 kilometers away from Bilbao, the living Vía Crucis pageant is held which is one of the most important highlights of the Holy Week. On your pilgrimage during the Holy Week, you will come across plenty of festive celebrations. 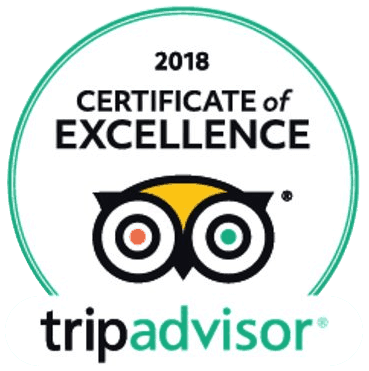 If you happen to be on the Camino de Santiago, don’t hesitate to join the spirited adventure of Easter on the Camino and participate in the jolly celebrations. In Santiago de Compostela, some of the Easter processions take place at nighttime where all the streets are lit my candles and torchlight. The unique medieval experience is not only beautiful to look at, but has a great sense of spiritually too. Procession of ‘La Humildad’ that is held at the Church of Santa María do Camiño. Procession of ‘La Oracion del Huerto Y Prendimiento’ which takes place at the Convent and Church of San Francisco. Procession of ‘La Virgen de la Soledad’ which begins at the Church of Santa María Salomé. It doesn’t matter whether you are on Camino for the religious walk or on a hiking trip, the whole week of Easter on the Camino is filled with impressive sights that will leave you in awe. Due to restoration work inside the Cathedral, Easter celebrations will be held in the church of San Francisco, except the Chrism Mass, Holy Tuesday which will be held in the church of San Martín Pinario. The cathedral will remain open and accessible, every day, from 9: 00h to 19: 00h, for the rite of the Embrace and veneration of the tomb of St. James. 11:30 AM. A Quintana Square: Blessing of Ramos. 12:00. Procession to the church of San Francisco. Arriving: Seasonal Mass in the Church of San Francisco. Chaired by Hon. Archbishop. 12:00. In the church of San Martín Pinario. Chrism Mass. Consecration of Holy Oils and Chrism. Chaired by Hon. Archbishop. 12:00. Church of San Francisco: Community Celebration of Penitence. 18:00. Church of San Francisco: Mass of the Lord’s Supper. Chaired by Hon. Archbishop. 12:00. Church of San Francisco: Community Celebration of Penance. 18:00. Church of San Francisco: Celebration of the Passion of the Lord. Chaired by Hon. Archbishop. Then Desenclavo ceremony. 18:00. Church of San Francisco: Via Crucis. 22:00. Church of San Francisco: Solemn Easter Vigil. Chaired by Hon. Archbishop. 11:15 h. Encounter with the Risen Christ in the Plaza de A Quintana. 12:00. Church of San Francisco: Seasonal Mass. Chaired by Hon. Archbishop. With apostolic blessing and plenary indulgence.